The Caped Crusader, the Dark Knight, the Batman—he's Gotham City's vengeful hero. He may not have any superpowers, but he's certainly the world's greatest detective. And he tends to have the greatest comic book video games: ever since the first Batman game arrived in 1986, we've enjoyed a steady stream of titles featuring the Dark Knight in all his glory. 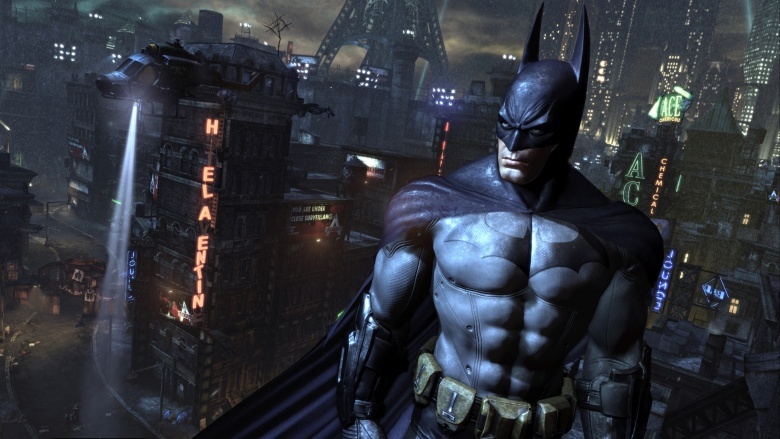 From the first Batman games to the Arkham series, here are the best Batman games of all time. Never has a Batman game had a more expansive and deeply-rooted story within the Dark Knight's mythos. Having all the major players in Gotham come together (on Halloween, of all nights) in a last-ditch effort to defeat the Caped Crusader is a tale primed for the big screen. Aside from the massive open-world setting, the Batmobile, and the new gameplay mechanics, Arkham Knight's true achievement is taking iconic Batman stories, altering them, and incorporating them into a new, original story. For instance, the developers appropriated the acclaimed Batman: A Death in the Family and Batman: Under the Hood story arcs for the game. They showed flashbacks of the former story while altering the latter. Instead of Robin (spoiler!) returning as the Red Hood (at least immediately), he returned as the Arkham Knight. And instead of returning to kill the Joker, he returned to fight and possibly kill Batman. The reasons this game isn't ranked higher are that, while the story exceeded overall expectations, the Robin/Arkham Knight twist and the Batmobile gameplay were letdowns. And other aspects of the game felt like retreads of earlier installments. Simply put, Arkham Knight is a solid concluding chapter for Rocksteady's Arkham series, but it could have been so much more. Tim Burton's acclaimed 1989 Batman film, starring Michael Keaton as the eponymous hero, remains one of the most successful and lauded comic book movies ever. Its dark themes closely followed the trend the comic book industry was heading in at the time, moving away from campy silliness to deconstructionist stories. So when Sunsoft released a video game tie-in titled Batman: The Video Game, fans went nuts. Although the game is supposed to be based on the movie, the two properties have very little in common with each other. Besides the characters' looks, the ending is possibly the only similarity. But in addition to being loosely based on Burton's film, the game featured numerous gameplay advances for side-scrollers at the time, such as the wall-jumping ability reminiscent of Team Ninja's Ninja Gaiden game. Interestingly, that ability quickly became Batman's (and the player's) ultimate tool in defeating the Joker. On a side note: unlike other Batman video game series whose sequels are often better than the original, let's just forget that Batman: Return of the Joker exists. Video games with movie or TV show tie-ins tend to be dreadful. Sure, there's the occasional exception, but those are few and far between—and that's why gamers were shocked by 1994's The Adventures of Batman & Robin. Based on Batman: The Animated Series (renamed The Adventures of Batman & Robin in its second season), the game does an excellent job of capturing the eeriness of the TV series as well as the complex problems the crime-fighting duo constantly faced, all while also remembering to be fun. The most beautiful aspect of the game, though, is that it resembles the look of the animated series. And it's one of the first games to incorporate Batman's rogues' gallery in a seamless fashion, having each villain appear as a new level boss. Really, the game is like a retro version of God of War, with Batman being Kratos. The Adventures of Batman & Robin originally arrived on the SNES before making the jump to other platforms, namely the Sega Genesis. Unlike the SNES version, which had Batman and Robin take part in episodic levels loosely based on episodes of the TV series, the Genesis version was a simple, linear story in which the Caped Crusader and his trusty sidekick had to take down Mr. Freeze. If you ever get the chance to play this game in the future, play the SNES version. It's a much more engaging Batman experience. Sure, Gotham is a dark, perilous city that never seems to see the light of day, and Batman may be the world's most broody superhero, but that doesn't mean we can never have a fun, comedic Batman game. Years before Will Arnett graced the big screen as the smallest Batman ever in The Lego Movie, Steve Blum was providing the voice for the Dark Knight in the Lego Batman video games. 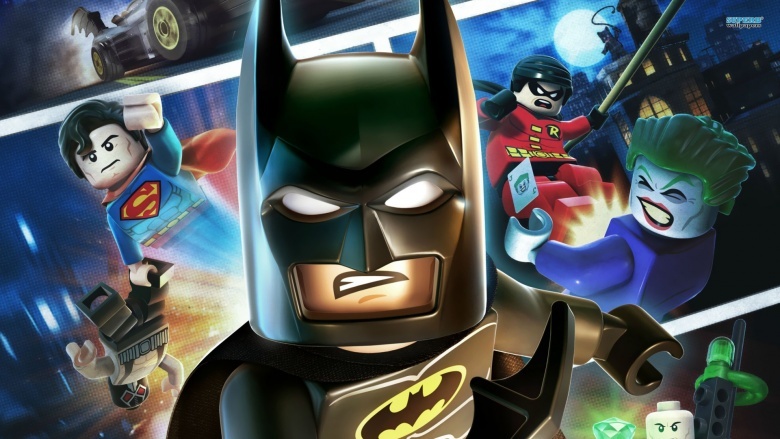 Closely following the successful formula and gameplay from previous Lego games, Lego Batman: The Videogame retains necessary elements from previous Lego installments, yet is the first game to feature an original story. And although it incorporates several characters from Batman lore, the game doesn't waste time exploring irrelevant storylines. Rather, its self-contained story allows for a more personal experience. Moreover, the game captures the same organic, campy humor the '66 Batman TV series is known for—that will certainly make longtime Batman fans happy. The video game industry holds Telltale Games in high regard for its ability to dive into established franchises and create new, enriching stories and experiences without complications. So when Telltale partnered with DC Entertainment to deliver fans a brand new Batman story, fans rejoiced. Perhaps the greatest thing about Batman: The Telltale Series is that it isn't about the gameplay, or the gadgets, or the graphics. It's the story, which delivers on fan expectations with twist and turns—and, more importantly, pacing—evocative of some of the greatest Batman stories ever written. 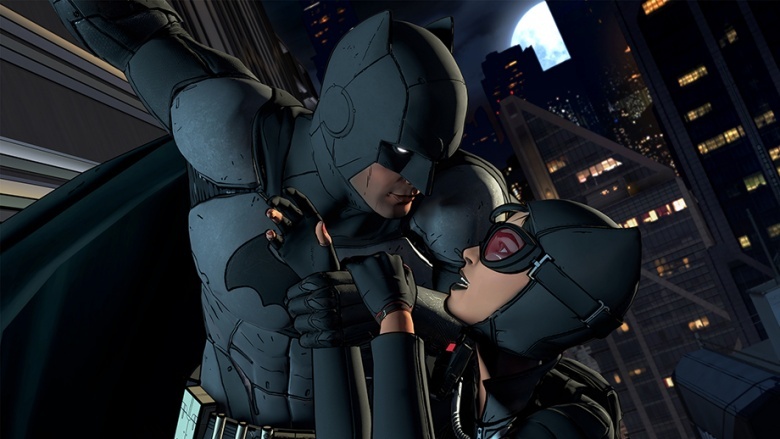 Telltale's Batman game may be the closest thing fans will ever get to an interactive comic book. That isn't because the game is designed to look like a comic, but rather because the developers learned from their mistakes with their first comic book video games—The Wolf Among Us and The Walking Dead. Furthermore, they took what they did right—writing, character design, and quick-time events—and dialed them up to 11. Plus, the game adds the new, interactive "crowd play" feature that allows spectating audiences to influence the decisions the player makes in-game. Batman: The Video Game was not only one of the first great Batman games but also one of the first great movie-based games—so when Konami followed up on the title with a game based on Burton's sequel, Batman Returns (not to be confused with Batman: Return of the Joker), expectations were high. Although the side-scrolling brawler didn't have very many original aspects, its beat 'em up fundamentals fit perfectly with what a Batman game should be. And giving the player an arsenal of Batman's coolest gadgets only amplified the experience of fighting the Dark Knight's perennial enemies. Plus, how cool was it to get to drive the Batmobile for the first time? 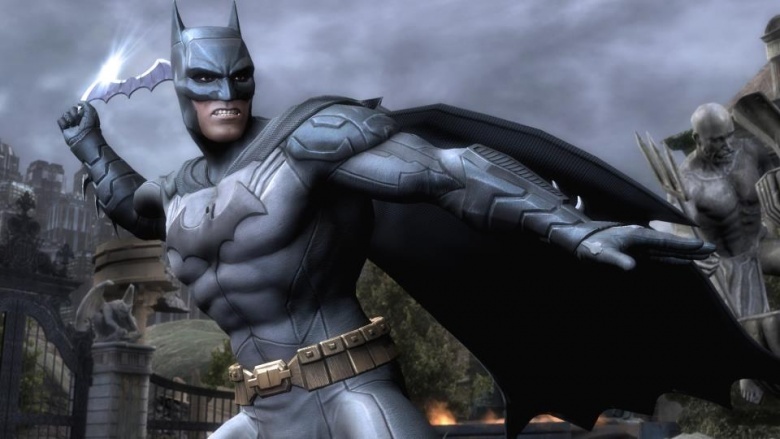 That alone justifies Batman Returns' high placement among the best Batman games of all time. NetherRealm Studios, the people that brought the world Mortal Kombat in 1992, got the idea to give gamers a DC Comics fighting game in 2013—and not only that, but a game that features DC superheroes fighting other DC superheroes in an alternate reality. With the expansive roster of characters featured, Injustice: Gods Among Us is certainly not a Batman game, per se, but since a large number of characters are from Gotham, we've decided to include the title in our ranking. 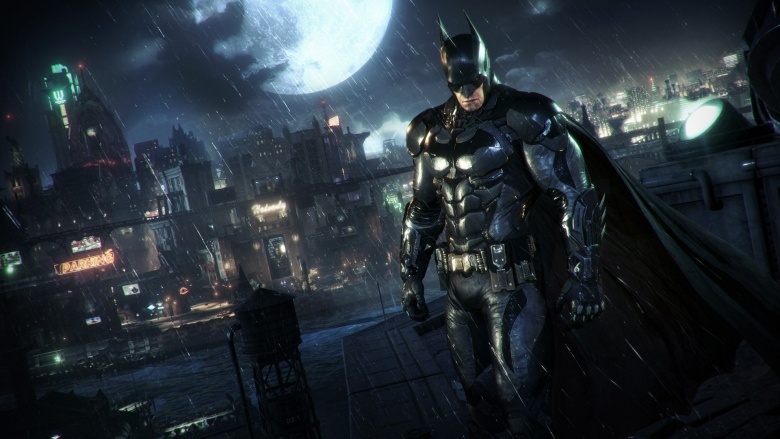 In fact, a third of all the playable characters in the game are Batman-related, including the various versions of Batman, Nightwing, and Batgirl, as well as villains Joker, Harley Quinn, and Solomon Grundy. Injustice is reminiscent of the old Mortal Kombat fighting games, yet captures the essence of the DC Universe. Instead of using the same skills and abilities against each opponent, the characters come equipped with special powers evocative of their comic book counterparts that allow them to take on different opponents in different ways. Plus, the game's impressive storyline has a great tie-in comic series that expands upon the overarching narrative. Now, with a new Injustice game on the way, we'll have to see if the sequel can live up to the greatness of the first installment. In keeping with the style of Lego Batman: The Videogame, developer Traveller's Tales released a standalone sequel in 2012, titled Lego Batman 2: DC Super Heroes. However, unlike with its predecessor, the developers opted not to continue with a self-contained story, focusing entirely on Batman and Robin, but rather expand the story and the Lego Batman universe with an open-world setting. Because of this, the developers incorporated a grand total of 70 playable characters from the DC Comics pantheon, including those from and outside of Batman's circle of characters, such as Robin, Batgirl, Flash, and Superman, among others. Further enriching the quality of the sequel, Lego Batman 2 is the first game in Traveller Tales' Lego series to feature a full voice cast, which meant no more grunts and gibberish limiting the experience. 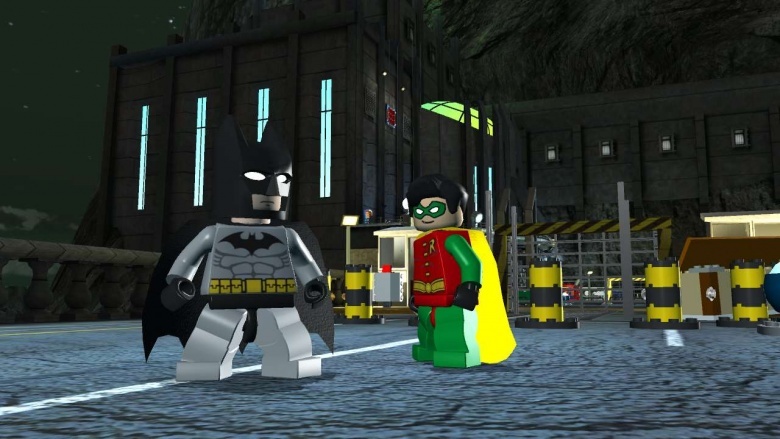 The developers turned a Lego Batman game (primarily intended for kids) into something all Batman fans could enjoy equally—and one that could compete with the quality of other full-fledged Batman games, like the Arkham series. 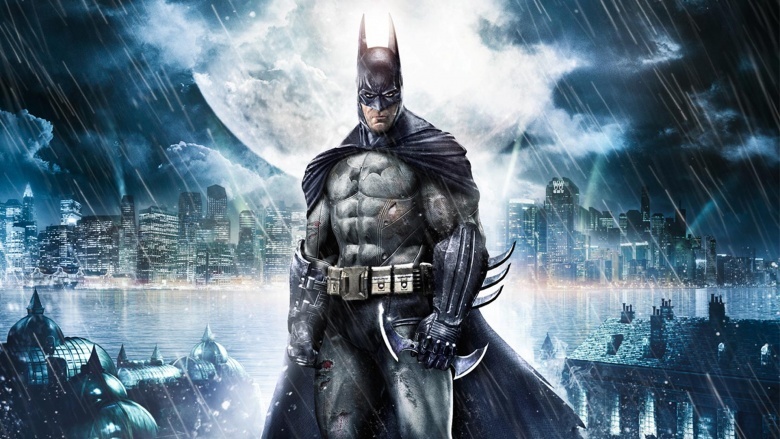 When Rocksteady kickstarted their Batman: Arkham series in 2009 with Batman: Arkham Asylum, they successfully revived a neglected subgenre and gave longtime fans of the Caped Crusader the most visceral Batman experience ever. Set entirely within the infamous Arkham Asylum for the Criminally Insane, the game allows players to utilize an abundance of high-tech gadgets. It focuses heavily on the Dark Knight's detective skills, which is something no previous Batman game was able to even come close to doing. Furthermore, Arkham Asylum became the first Batman game to incorporate the Dark Knight's iconic rogues' gallery successfully. Surely, it helps to have the voices of Batman veterans Kevin Conroy, Mark Hamill, and Arleen Sorkin, who voiced Batman, Joker, and Harley Quinn, respectively, in Batman: The Animated Series working on the game. Plus, with longtime Batman writer Paul Dini at the helm, Arkham Asylum delivers a story of Batman infiltrating the mental institution to thwart one of the Joker's most daring plans. Batman: Arkham Asylum is a fantastic game that will be remembered for years to come. However, in true comic book fashion, the game's sequel, Batman: Arkham City, knocks Arkham Asylum out of the top spot on our list of best Batman games. Arkham City took the greatest aspects of the first game—the setting, the gameplay, and the story—and augmented them, giving players a chance for playing their first open-world Batman game. Moving away from Arkham Asylum, the game takes place in the newly constructed Arkham City, a walled-off super-prison enveloping the slums of Gotham. Being a sequel, Arkham City makes several improvements to the combat system, gadgets, and overall gameplay. For instance, the game improves upon the "free flow" combat revolutionized in the first installment, allowing players to counter multiple attackers simultaneously. 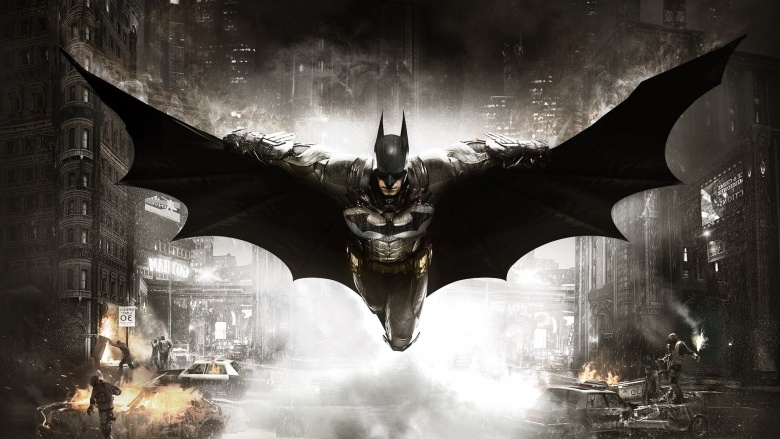 Furthermore, Arkham City introduces the all-too-important gliding ability, which allows players to use Batman's cape to glide across the large environment. But what really drives this game home, thus making it the greatest, is its devotion to expanding upon the Batman mythos. Whereas the first installment only featured eight to ten hours of gameplay, Arkham City features over 40 hours, including the core story, side missions, and challenges—and that's all thanks to Paul Dini. Longtime fans of the Dark Knight are able to dive deep into the story and explore hidden details casual gamers would otherwise overlook. It's a game filled with Easter eggs.